Firoz has been actively in practise for 23 years and has appeared before the various Courts in Malaysia including the Federal Court on behalf of clients, specializing in corporate and commercial litigation, constitution and public law. He has advised on major corporate commercial and political litigation cases across Malaysia, represented both foreign and local clients for individuals and corporations in a variety of litigation and various disputes. Firoz’s advisory profile includes matters relating to commercial litigation, shareholders dispute, construction contract dispute, insurance litigation, and other issues relating to politics. He has also advised and litigated matters pertaining to banking and insurance matters. Firoz was called to the English Bar in 1991 and started his legal career in Atkins Chambers, Gray’s Inn in London as a pupillage until 1993. In 1994, he joined Squire and Company, advising on insurance related litigation. He was then recruited to Holman Fenwick & Willan, based in London and Singapore, an international law firm specializing in shipping. 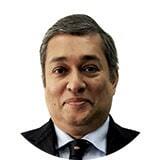 Firoz returned to Malaysia and joined Skrine & Company in Malaysia and Peremba (Malaysia) Sdn Bhd as a legal manager. In 1998, he was a partner at Puthucheary Firoz & Mai for 11 years, specializing in commercial litigation and Counsel for several major litigation cases. Prior to joining Zaid Ibrahim & Co., Firoz was with Harafizam Wan & Aisha Mubarak for 6 years, focusing on Counsel work in company, commercial and political litigation.